Your logo and branding are the foundation of your identity. Without an identity, your marketing is useless. It all starts here. Your logo and branding are the foundation. Advertising experts say that it takes over 10 viewings of your logo before consumers start recognizing it. Using Bold Print Design Studio to develop your logo and branding will ensure that your logo is used properly and consistently on everything that represents your company. We’ll see to it that your brand is working for you, not against you. Successful branding uses design to project a message that builds confidence, while differentiating you from your peers. Extensive research yields better design. All of the files you will ever need: for professional and in-house printing and for online use. A logo file guide that explains your different file types and how and when to use them. A private link to your logo files stored safely online, so that you always have your logo when the need arises. Most importantly the logo is yours, copyright and all. We don’t hold back the master files forcing you to come back to us. Your business is established, professional and trustworthy. 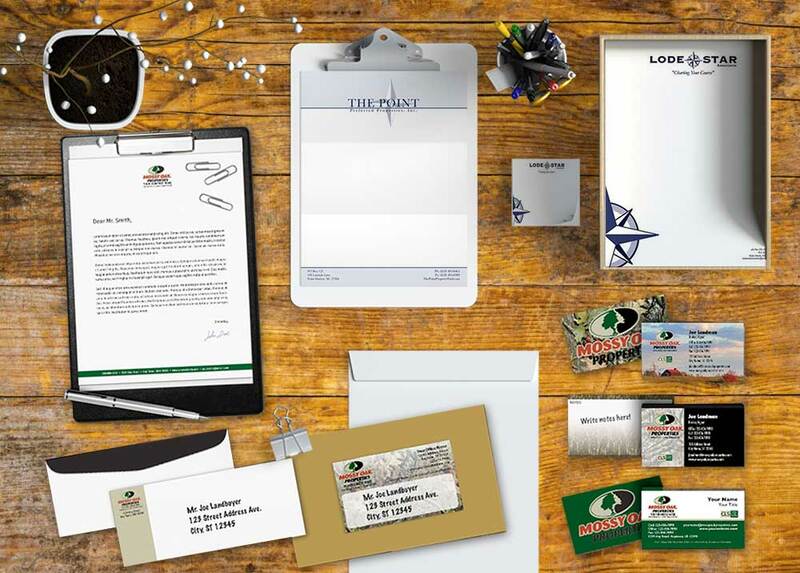 Carry your logo design and style through to your correspondence with a professionally designed stationery set including business cards, letterhead and envelopes. There are many memorable ways to keep your brand in front of the eyes of your clients. You could put “take-home” magnets on your vacation rental home fridge, or give mugs to your best coffee bean purchasers. Choose items that will be of use and value to the people you give them to. There’s nothing worse than putting your logo on something the recipient will view as worthless.